We warmly welcome Cantor Alisa Forman as our new Spiritual Leader. She officially joined the Congregation Beth Sholom family as of October 1, 2018. 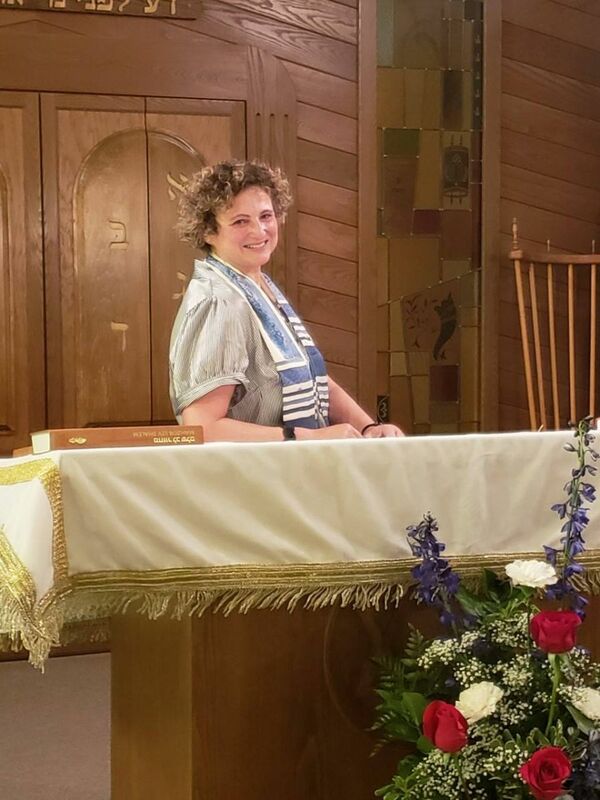 Cantor Forman serves her congregants as a teacher of Judaism, spirited worship leader, musician, pastoral counselor and life-cycle officiant. Cantor Forman comes to us from Vero Beach after having served as Cantor for congregations in Cherry Hill and Lakewood, NJ. Cantor Forman received a Masters in Sacred Music and ordination as a Cantor from Hebrew Union College-Jewish Institute of Religion’s School of Sacred Music in 2003. The Cantor brings a wide musical dimension to our congregation offering a diverse repertoire ranging from chazzanut and formal classical settings to contemporary standards and current musical compositions. She has a Masters of Arts in Teaching from Columbia Teachers College. Her undergraduate work was completed at the University of Virginia. Congregation Beth Sholom invites everyone to come and meet our new Spiritual Leader at an upcoming service.